Your home should be your safe place, but is your inside air dangerous to your heath? 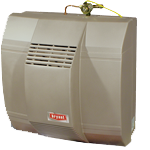 We offer a variety of indoor air quality products, each of which target and combat numerous indoor air pollutants. Our indoor air quality products will help you maintain a clean and healthy indoor air environment, creating a safe haven for your family.